Arthur Online is a web-based property management solution designed for private rental, student housing, and commercial properties. It provides tools to help users communicate with tenants and lets agents track work orders or monitor individual units. 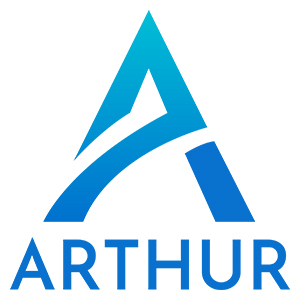 In this article, we cover Arthur Online reviews and pricing. Ready to get started? Get a free trial. Users who gave positive Arthur Online reviews commended its ability to centralize communications with tenants, contractors, letting agents, and property managers. Customer support was also cited as responsive and proactive. 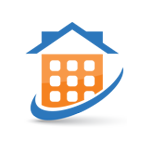 One user who gave Arthur Online a positive review on Capterra liked that he can easily manage communications with tenants and contractors using a single platform. He also mentioned that its wide selection of integrations enables him to customize the app based on his property management needs. As of the date this article was written (February 18, 2019), there are no negative Arthur Online reviews available online. If you are a past or current Arthur Online customer, leave a review to help other business owners who are deciding whether or not to use the software. Arthur Online pricing is based on three subscription plans that range from £15/month (or approximately $19.36*) to £375+/month (or approximately $483.93+). The main differences between the plans are the number of units managed, price per unit, and access to premium features such as tenant onboarding, reminders, applicant matching, relationship manager, bespoke tenant app, and more. Monthly pricing per unit ranges from £0.75 to £1.25, which refers to the allowed range of units allotted per plan: Standard (one to 40 units), Professional (41 to 60 units), and Enterprise (61 to 300 units). For portfolios with 300 units or more, interested users may request a customized Arthur Online pricing quote from the sales team. The following add-ons are also available: tenant referencing (ranges from £14.99 to £18.99, or approximately $19.59 to $24.82), digital inventory (£2.50 or approximately $3.27), data import (£175 or approximately $228.76), Xero/QuickBooks starter packages (starts at £195 or approximately $254.90), bespoke tenant app (£995 or approximately $1,300.66), and more. *Indicated cost approximations in USD are based on the exchange rate when the article was written. Ready to try Arthur Online? Get a free trial. 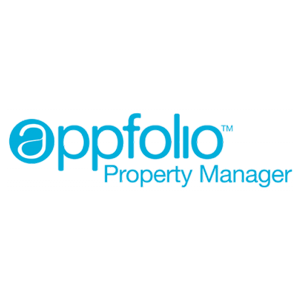 8 Best Property Management Software 2018 – The best property management software helps property managers stay organized while completing tasks like tracking rent payments and maintenance requests. In this guide, we recommended our top picks based on the quantity and types of properties that can be managed. Can users manage multiple units using Arthur Online? Yes. Arthur Online enables users to manage multiple units on its platform by providing them with a property management hierarchy. This allows users to handle individual units or multiple units simultaneously, depending on their preferences, to see the status of their portfolio. How can Arthur Online help users manage their tenants? Arthur Online provides users with an online messaging platform that enables them to easily communicate with their tenants using email or SMS messaging. A bespoke online tenant portal is also offered to help them review tenant information, payment details, and supporting documents. Have you read these Arthur Online reviews and are still not sure if it’s the right fit for you? Read our reviews of all top property management providers or check out one of these three Arthur Online competitors.